Back in July, I wrote about my struggle to step out of my comfort zone and take a risk on a holiday-themed story. I really pushed myself to get this out on time, and am very grateful to all the folks who supported me while I did so. I have never had to work through resistance more than when writing this story, and I learned a lot about my writing process while doing so. And now, it’s here! In my new novella, I’m asking the question: can you find joy while holding on to the past? Thirty-something New York City native Charlene Dickenson has never been good at letting things go, which is why she finds herself mildly stalking her ex-boyfriend after she spots him on her way to work. 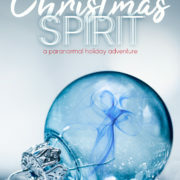 When this leads to her untimely death in a Christmas-related accident, she discovers a whole new world in the Hall of Christmas Spirits. Now she’s stuck in a place where the Christmas music never ends, mistletoe hangs in every doorway, and the holiday treats will never make you full. 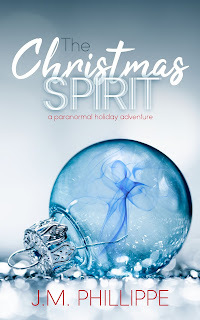 As if learning the new rules of her afterlife isn’t hard enough, Charlene must do whatever it takes to become a Ghost of Christmas Past, Present, or Future—helping mortals transform their lives like Ebenezer Scrooge—or end up like Jacob Marley and spend the rest of her existence in chains. But letting go of her pre-ghost life is harder than Charlene thought, and she can’t help but break all the rules in her attempts to hold on to who she was. In this dark comedy inspired by Charles Dickens’ A Christmas Carol, Charlene is going to have to figure out how to let go of her mortal life and embrace the Christmas Spirit.